Fashionable shoes and stylish outfits all of this aren’t completed without a beautiful hairstyle. Look at these 21 cutest and most beautiful hairstyle ideas for inspiration! Are you searching for beautiful homecoming hairstyles? You should definitely look like a queen, and we are glad to help you. We have picked 21 photos of half-up/half down, fishtail, braided and ponytail, ponytail and crown, crown and bun, mermaid, and updo hairstyles. Easy quick hairstyles can look fabulous, as well. There is a variety of hairstyles for medium hair. You can also find many ideas if your hair is long. We are sure that you have been dreaming about this event for a long time. You will look gorgeous if you choose a half-up/half-down hairstyle. A fishtail is among the most elegant and easy hairstyles for long hair. You are mistaken if you believe that braids are for little girls. 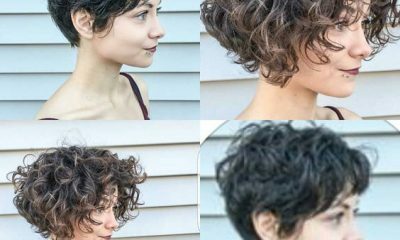 If you choose this hairstyle, you will definitely look like the real lady. Just keep in mind that it will look more beautiful if your hair is long. Visit Glaminati.com to read the full post.